The East Coast’s biggest family fun fair is back in town. Scarborough Fair will be held at William Street coach park today until Saturday September 29. Today and Friday it will be open 5-10.30pm, tomorrow 3-10.30pm and Saturday 1-10.30pm. 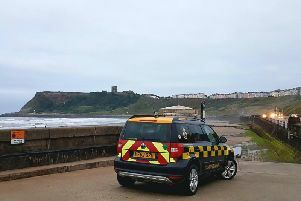 This evening from 5-10.30pm and Saturday from 1-6pm special discount vouchers, available only in The Scarborough News, can be used for all rides and attractions. Tomorrow afternoon, 3-6pm, all rides will also be half price. Each year the organisers bring in a host of rides and attractions and this year the fair will be made up of over a dozen large attractions, plus a mass of children’s rides, games, hot food and fairground stalls. The carousel will be back at the entrance to the fair, a traditional ride that always proves popular, and there will be family rides such as the Dodgems, Twister and the King Frog. Thrill seekers will be able to sample the 40m high Speed Buzz which will become one of the highest landmarks in the town for four days as well as the return of the Devil Rock, a giant swinging pendulum ride with suspended seats. The fair will also feature one of the UK’s biggest Fun Houses, waltzers the Tagada and the Superstar and Extreme which last year proved hugely successful. If you missed your copy of The Scarborough News last week, with discount vouchers for the fair, don't forget to pick up tomorrow's paper for more vouchers that can be redeemed on Saturday.